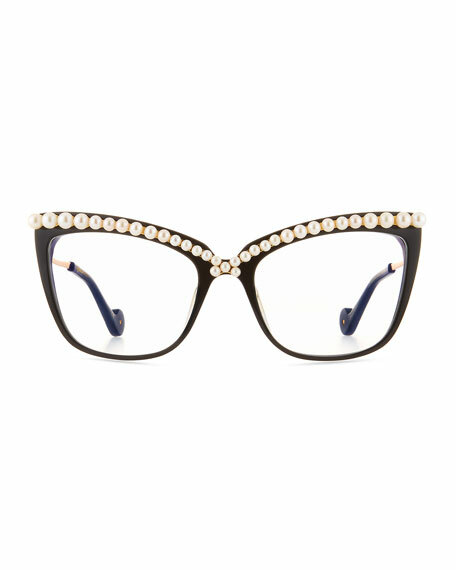 Anna-Karin Karlsson "Lusciousness Divine" cat-eye optical frames. 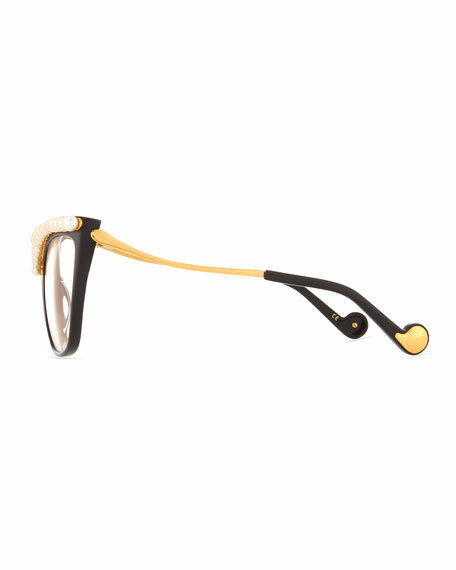 Acetate frames with 24-karat gold-plated hardware. Clear, non-optical CR-39® demo lenses (replacement recommended). 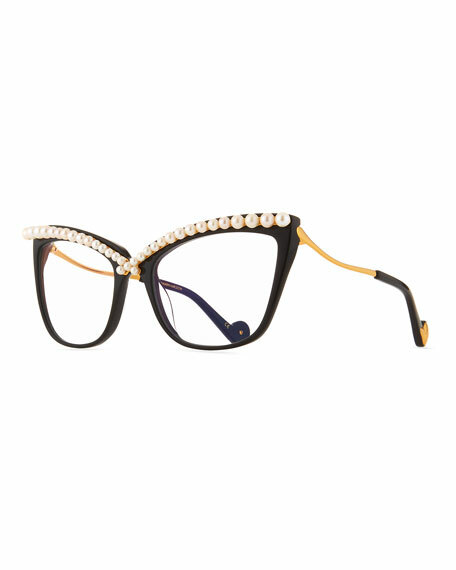 Crisscross detail at brow with cultured, naturally hued freshwater pearls. For in-store inquiries, use sku #2107327.